Remember when animal print was all the craze? (It still kind of is.) Well we’re leaving the spots and stripes behind and dipping our toes into feathers. 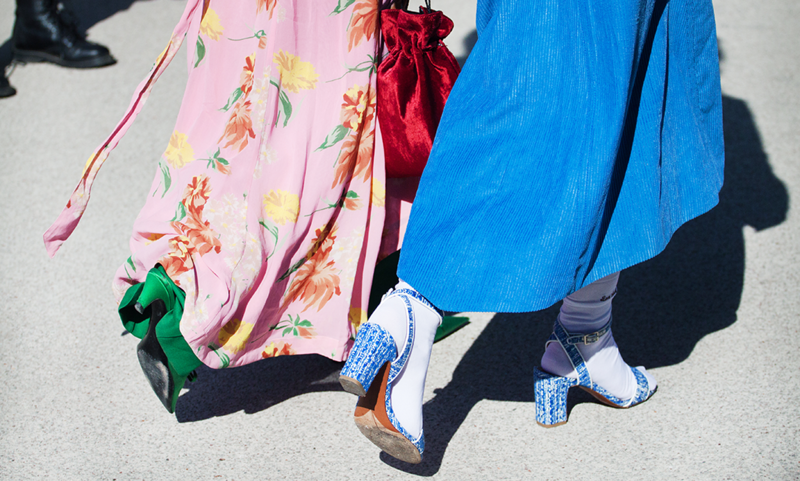 Feathered heels and sandals caught everyone’s attention when they popped up on the spring runways and we feel like our little childhood selves would be thrilled to see us wearing feathered shoes in 2019. This Teva-inspired sandal trend is sure to make hetero men scratch their heads and say, “This is what’s cool now?” Yes, it is. Thank u, next. Give us all the criss-cross velcro straps paired with a fun pair of socks, please. The sneaker trend isn’t going away this year, it’s just getting a fun upgrade—which, side note, is also how we’re living our lives in 2019. And honestly, aren’t we all thankful for comfy trends? Look out for bright colors and bold designs (at least compared to your dad’s actual sneakers). Stay comfy! 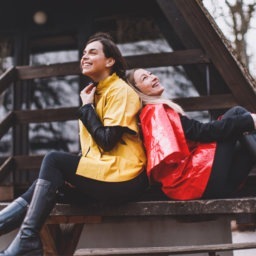 Okay, now we’re kind of convinced that designers are connecting with their inner child because this is another trend our childhood selves would love: buckles! And yes, we mean multiple buckles. We’ve been seeing at least 2-3 buckles on sandals, boots and heels and they just give this cool edge to feminine styles. Y’all, our Pinterest dreams are coming true. These babies aren’t just heels, they’re art. No really, sculptural heels are super artsy. 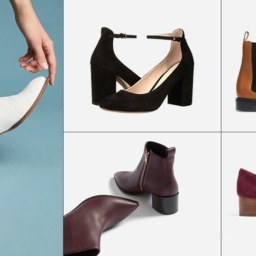 The heel used to be like the BFF in a rom-com but now, with these artsy geometric upgrades, they’ve had their makeover montage and they’re ready to be the star. Throw caution (and grey) to the wind in 2019 and wear bold colors! Let your inner-maximalist run wild by pairing bold shoes with a bright outfit or pair colorful shoes with an all-black ensemble and let the shoes be the star. You won’t go wrong with colorful shoes. If anything, you’ll get overwhelmed with all the compliments. 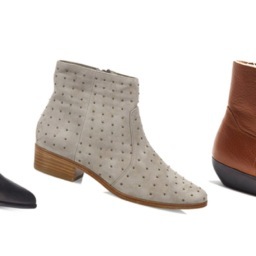 Looking for cute waterproof boots? Oh, we got you covered. 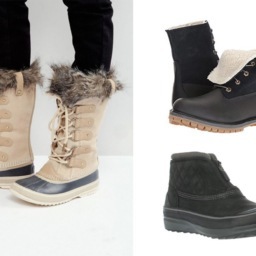 Check out these 9 Cute Waterproof Boots and stay dry in style.